Interior Secretary Ryan Zinke sent President Trump a report recommending shrinking portions of numerous parks and monuments. That would open up millions of acres of protected public land for drilling, mining, and logging by the highest bidder. The next step is for Trump to decide what to do about Zinke’s recommendations to shrink the boundaries of our national monuments. Turning this land over to corporate polluters is massively unpopular. If we can raise the stakes high enough for Trump - there’s still a chance he might back down to avoid another media nightmare. 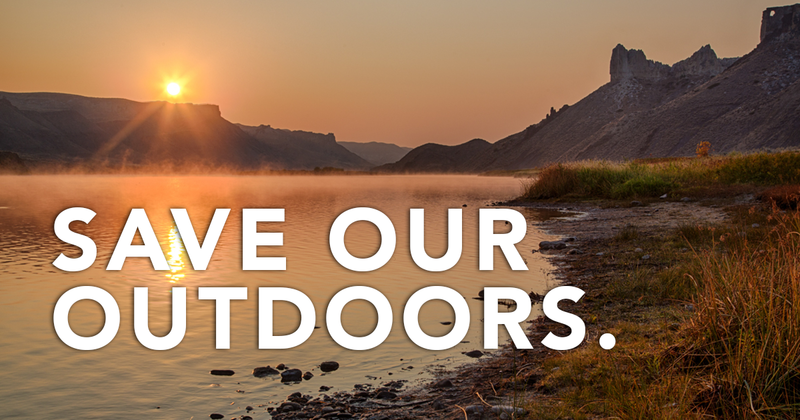 Please, sign our petition for public lands today – help reach our 25,000 signature goal. Interior Secretary Ryan Zinke’s recommendations to shrink protections for parts of our national monuments would be disastrous for our country. Our public lands and waters are priceless, and should not be stripped of federal protection to be sold out to the highest bidder. Shrinking any portion of our national monuments would be a tremendous loss. Shrinking parks and monuments means less access for people to hike, fish, and camp. It hurts local economies that rely on tourism and outdoor recreation. It also could mean the desecration of some of America’s most important archaeological treasures, including sites sacred to Native Americans. I urge you to reject this dangerous plan, and live up to your obligation to protect our public lands for future generations.